For our 2nd giveaway in our #12daysofchristmas advent we are giving away a Frozen snow glow Elsa doll to one lucky winner! These flew off the shelves last Christmas and ended up being sold out pretty much everywhere, and they're still on the top of many Christmas lists this year! So if you know someone who would love one of these then all you have to do to be in with the chance of winning this fantastic prize is enter via the Rafflecopter below!! 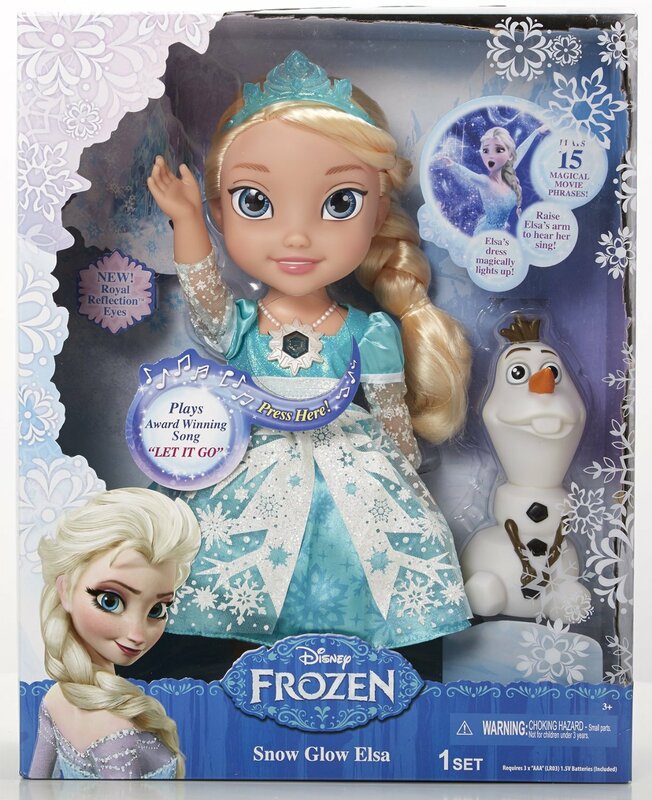 Relive your favourite moments of Disney’s Frozen with this gorgeous Snow Glow Elsa Doll! Simply press her magical snowflake necklace to watch her ice powers come to life with a flurry of light and sound! With 15 sounds and phrases from the film, you can enjoy Frozen again and again! If you lift her arm, she will sing the hit song 'Let it Go' whilst her snowflake necklace lights up and her dress magically shines. Create a winter wonderland with your favourite Disney Princess Elsa today! It has to be....*ponders*....Fairytale of New York! Wham last Christmas is my favourite Xmas song. Fab prize! I wish it could be Christmas every day!! Not that I ever win these but MM would love this. What a lovely round up of giveaways for the holiday babes. Another Fairytale of New York fan here. I never tire of hearing Kirsty McCall's fantastic voice. Silent Night always gives me goosebumps! My daughter would love this. Band Aid - do they know its christmas! O Holy Night - such a lovely tune and lyrics. I really don't like many pop Christmas tunes, so I'm going for an oldie. The Coventry Carol. Always liked singing it, and I still feel all tearful at the Herod the King in his raging bit. Silly really. Not like it's a surprise or anything. Oh, it has to be Last Christmas by Wham! Fairytale of New York by the Pogues and Kirsty MacColl! All i want for christmas is you - Mariah Carey! Shakin Stevens - Merry Christmas Everyone! i always know its christmas when i hear fairytale of new york playing. Fairytale of new york! Has to be!